My 4th great aunt is shown here as “private.” I understand that she may be private in some trees, but is she private in every tree? I tend to doubt it. It is also frustrating that I can’t even see what tree the “private” entry is coming from–so I can’t even attempt to contact that tree’s compiler. 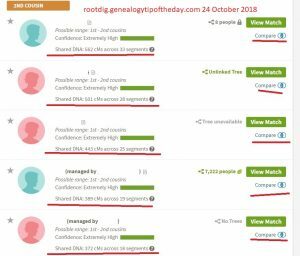 The descendant of my private aunt (5th cousin to me) and I share 7 cM of DNA. That doesn’t “prove” the sisters were sisters, although it is consistent with that relationship. The two Chaney women could have been first cousins, aunt/niece, or other relatively close relationships. 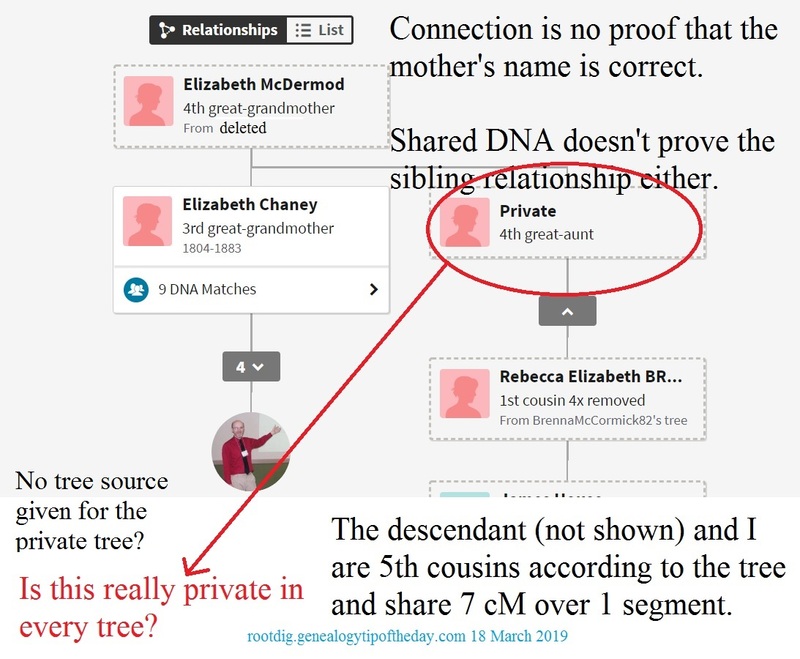 The shared DNA does not prove the mother of the Chaney sisters either. In fact I’ve seen no reliable information documenting that relationship. The father of the sisters is well-documented–the mother is not.